BEIJING, Jan. 23 (Xinhua) -- China's top political advisor Wang Yang has called for well-organized consultation and deliberation in 2019. Wang, chairman of the Chinese People's Political Consultative Conference (CPPCC) National Committee, made the remarks while presiding over the 15th chairman and vice chairpersons' meeting of the 13th CPPCC National Committee. Speaking highly of the consultative work in 2018, Wang, also a member of the Standing Committee of the Political Bureau of the Communist Party of China Central Committee, underscored the importance of successfully holding the second session of the 13th CPPCC National Committee. During the session, the political advisors should put forward suggestions on key issues and tasks, based on the reality of China, Wang said. The meeting reviewed and approved the draft agenda and schedule for the session as well as draft reports on work of the Standing Committee of the CPPCC National Committee and its handling of proposals, all of which are to be submitted for deliberation at the fifth meeting of the Standing Committee of the CPPCC National Committee. The meeting also approved a decision to disqualify Shu Yuhui as a member of the 13th CPPCC National Committee. 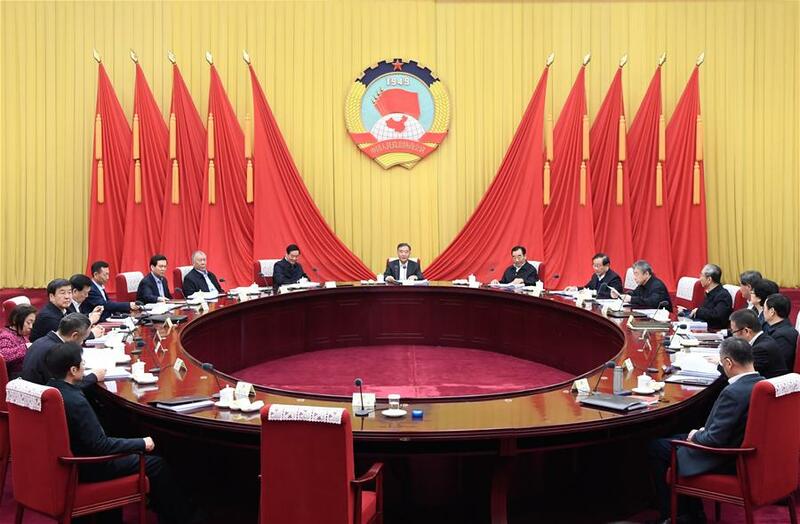 The decision will be put before the fifth meeting of the Standing Committee of the CPPCC National Committee.